Neilsons was established in 2001 under the guidance of executive chef Lewis Prince, and it quickly established its reputation as one of Gippsland’s leading fine-dining restaurants. Recognised for its warm atmosphere, friendly staff and an exciting, diverse menu featuring first-class ingredients from throughout Gippsland, Neilsons became a culinary focal point for family celebrations, ladies lunching, romantics and business people seeking to impress. 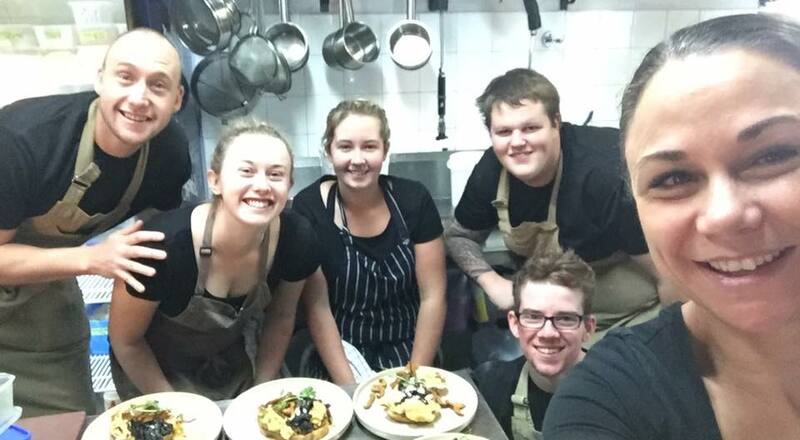 Situated in a beautifully renovated Californian bungalow, Neilsons many achievements include being featured in The Age Good Food Guide each year since opening, and winning the hospitality section of the Gippsland Business Awards in 2003 and 2004. In 2007 Neilsons became the first restaurant in the Latrobe Valley to be awarded a coveted Australian Good Food Guide Chef’s Hat earning a score of 15/20. In 2007 Lewis also won the Gippsland Signature Dish competition, and in 2008 – along with one of his apprentices – was again a finalist. In 2008 Lewis and Rebecca Prince took over the ownership from previous owners Brad Neilson and Damien Gannon. In 2016 Nielsons relaunched as Neilsons Kitchen. With Lewis leading the team in the hot zone and a first-class wait staff under the direction of maître d’ and co-owner Rebecca, Neilsons Kitchen has re-established itself as a venue with definite sizzle! An inspired new menu delivers innovative flavours, a fresh take on classic combinations and the best of fantastic Gippsland produce, plus a drinks list to match.